Home » Finance » How to Improve your finance and accounting department’s efficiency? How to Improve your finance and accounting department’s efficiency? Posted by admin in Finance | Comments Off on How to Improve your finance and accounting department’s efficiency? Finance is a core function and the heart of a successful business. 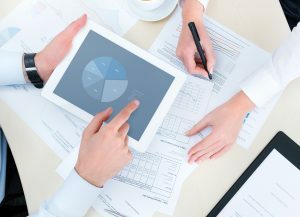 A well-functioning finance department will streamline business operations and help the business reach its objectives. Here are some tips on how to increase your finance and accounting department’s efficiency. Communicate to the team – Speak to your finance team and ask them what day-to-day activities can be improved to eliminate unnecessary work, to get things done faster and how collaborating teams can help efficiency. Training and development – Cross training your finance team will mean that everyone knows what their team members have to do and this means that if someone is not at the office, another person can fill in. Leverage technology – Cloud technology makes data safe and allows multiple people with access to data when they are not at work. Establish deadlines – Deadlines help to create a culture that work has to be presented on time. When financial information is on time, key decision makers will have the data they need to make informed decisions. Batch processing – Batch processing will help your finance department gather, consolidate and process invoices and receipts in one go. Utilize accounting systems – Accounting systems are easy and will help accountants manage their information and time. Utilize process metrics – Process metrics will help to create benchmarks and compare activity in previous periods. They can also be used to create accounting ratios, cycle time and the number of documents in process.